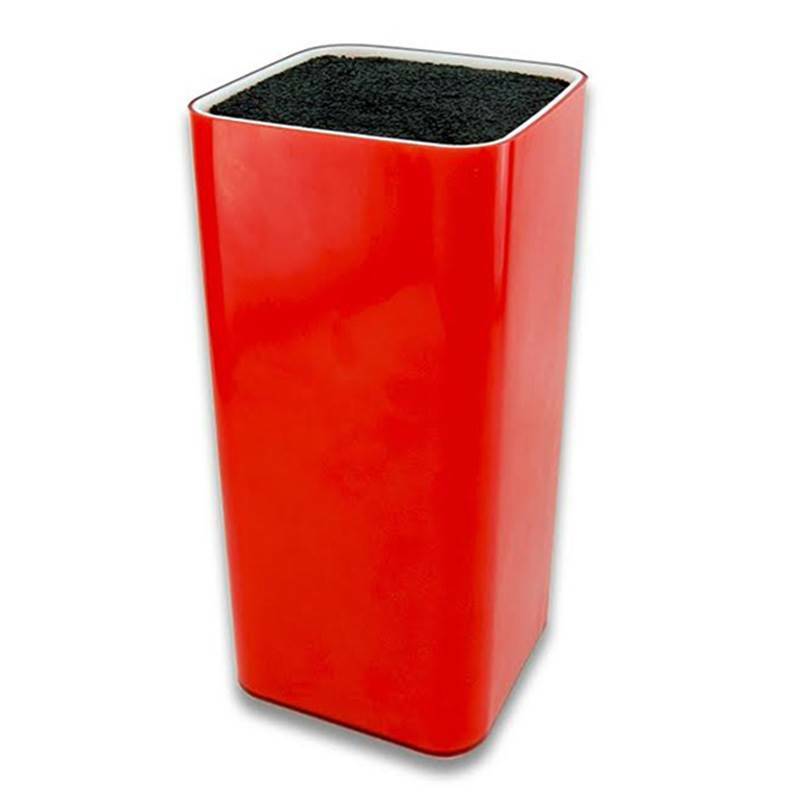 This very handsome shiny red colour knife block enables you to store in a secure way all your types of knives being made of steel or ceramic, your kitchen utensils are remarkably protected. The material used for the manufacturing of this shiny red colour block knife presents several advantages. The Acrylonitrile Butadiene Styrene is of very good quality; it cannot be deformed and is shock-resistant. It can be very easily coloured and thus can have different looks. 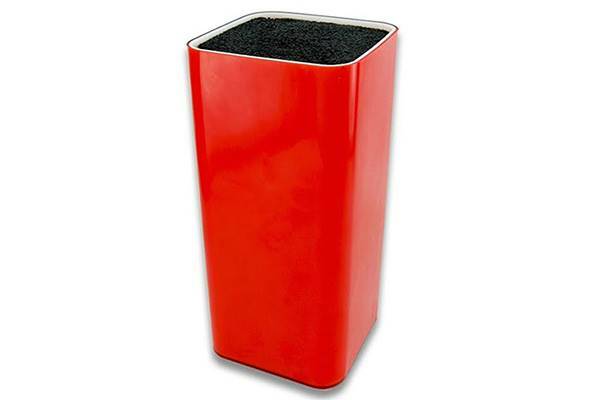 It nicely beautifies your kitchen countertop and eases the access to your kitchen tools.